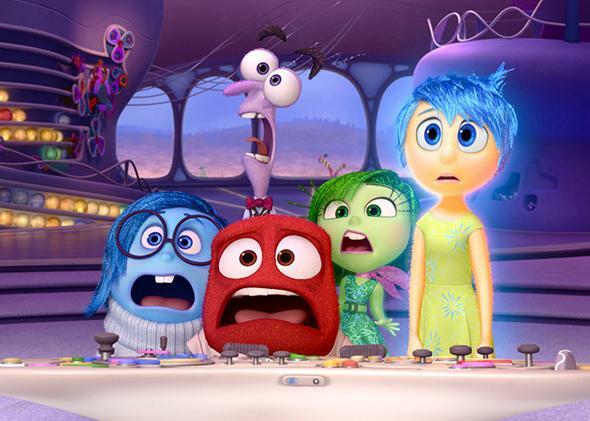 Inside Out gets biggest box office opening for original movie: The Pixar film collected 91 million dollars. Pictured (L-R): Sadness, Fear, Anger, Disgust, Joy. Riding a wave of critical acclaim and the tears of grown-ups everywhere, Inside Out trounced the box office this weekend with a $91 million gross. That’s enough to eclipse Avatar’s $77 million debut and claim the largest-ever opening for an original property, flipping a huge, animated middle finger to all the sequels, reboots, and remakes that usually dominate ticket sales. Or maybe not. Despite nabbing the second-biggest opening of any Pixar film (after Toy Story 3), Inside Out is also the only one of Pixar’s 14 movies not to top the box office in its first weekend. That’s thanks to Jurassic World, which followed its all-time domestic debut with, you guessed it, the best-ever domestic second weekend. Genetically modified dinosaurs: 1, anthropomorphized emotions: 0.